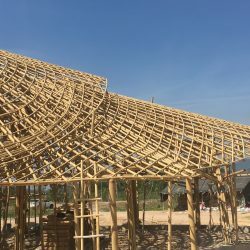 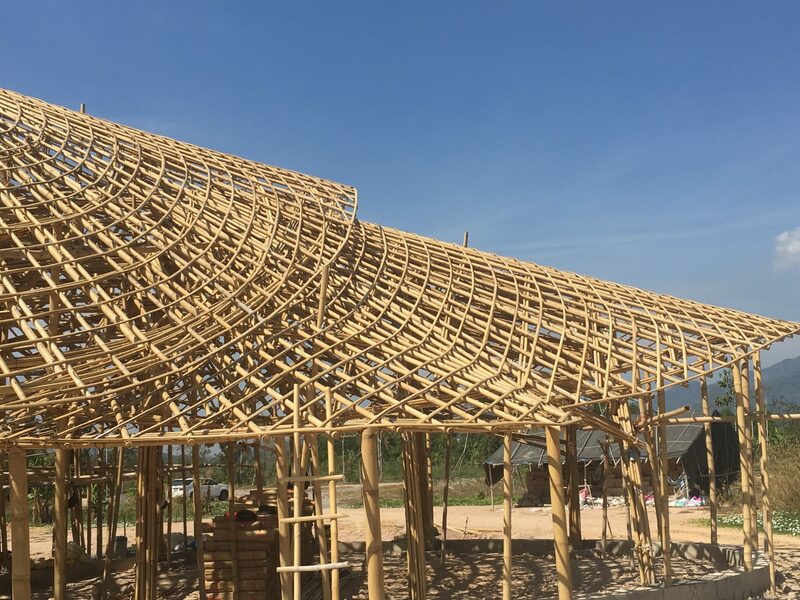 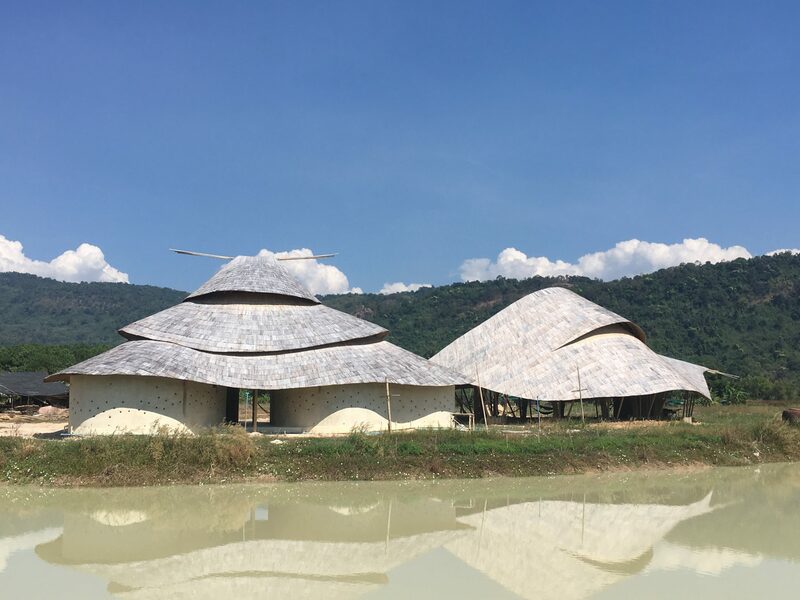 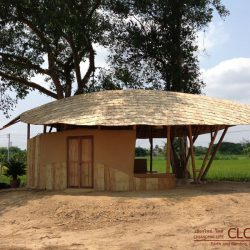 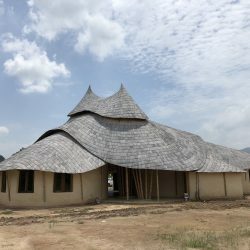 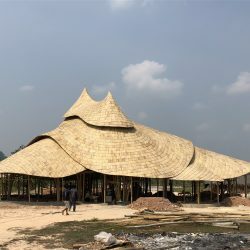 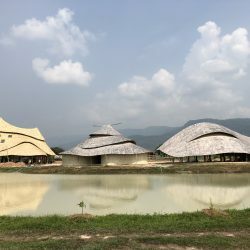 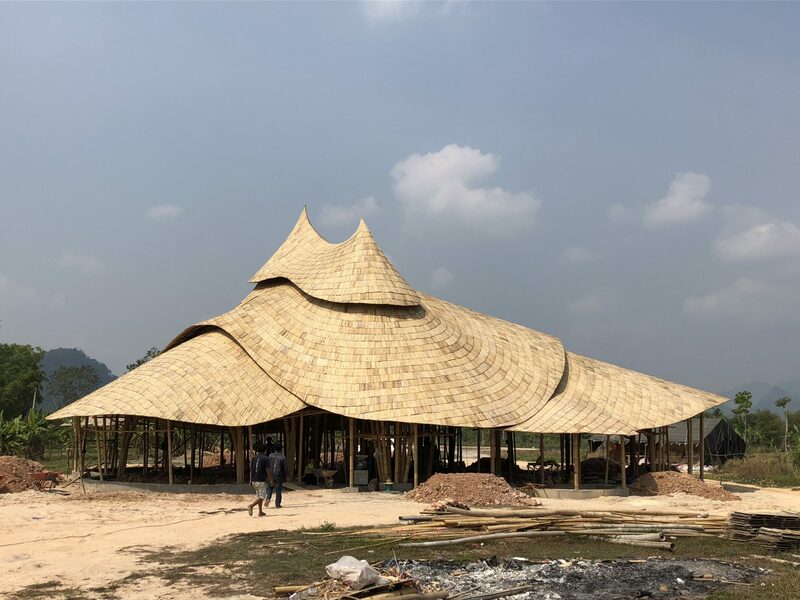 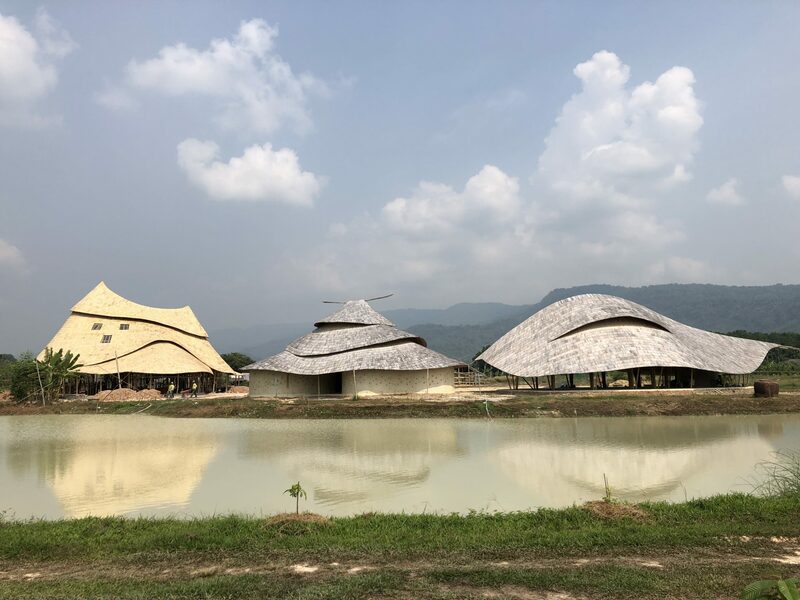 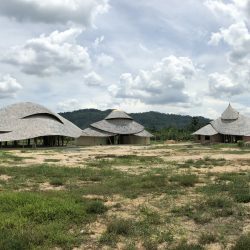 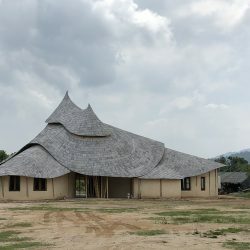 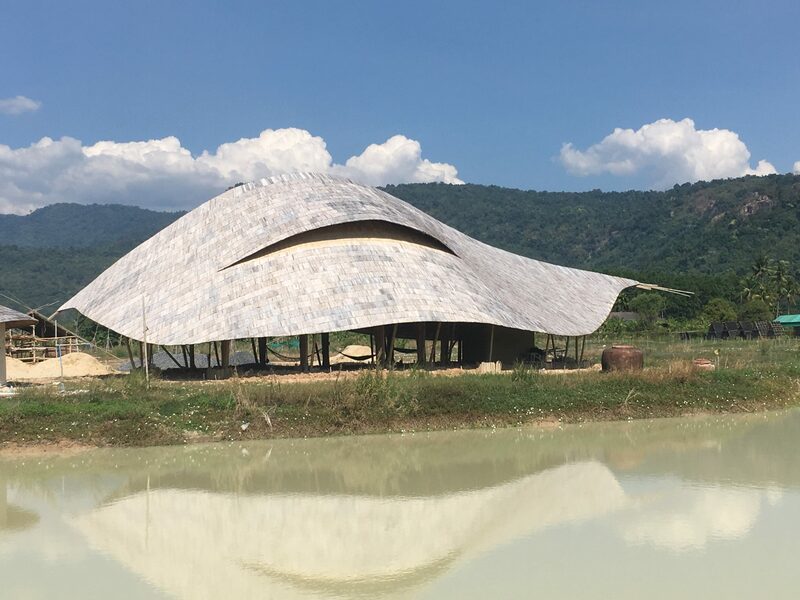 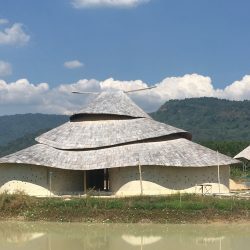 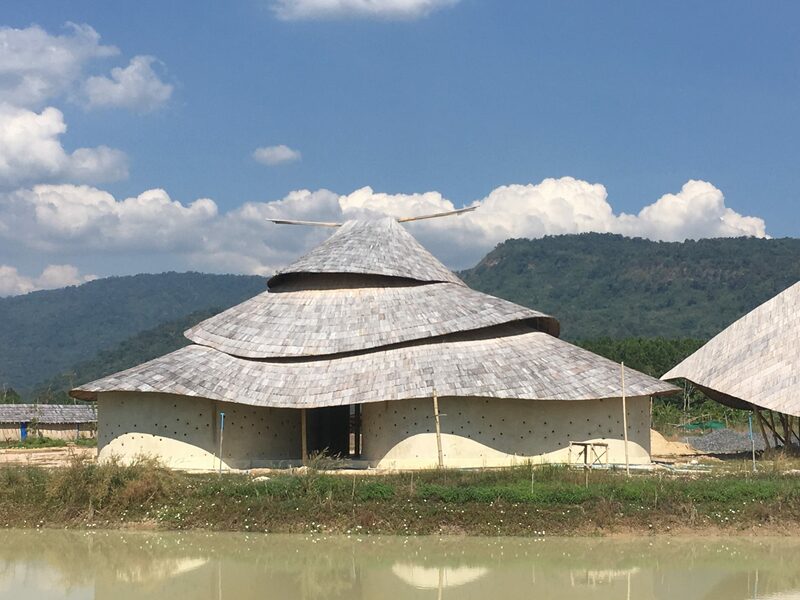 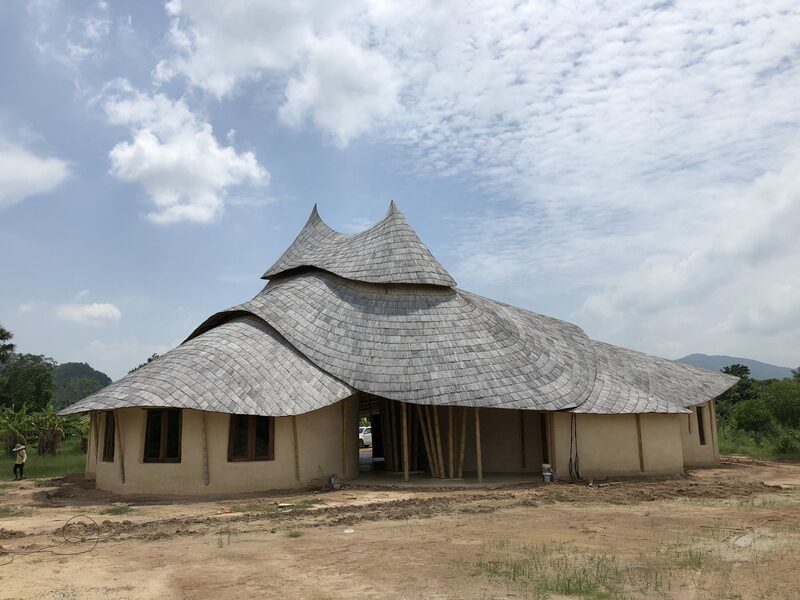 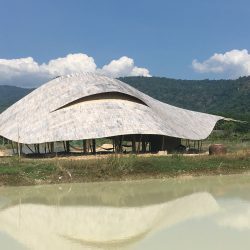 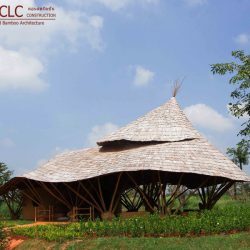 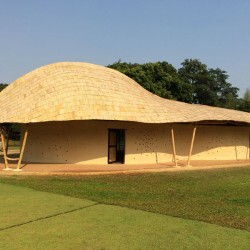 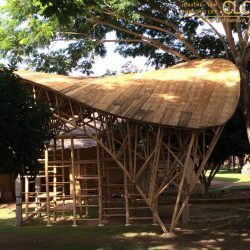 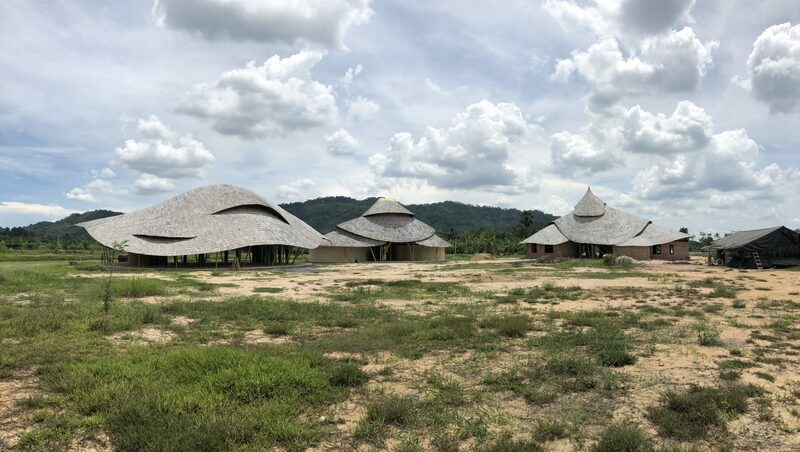 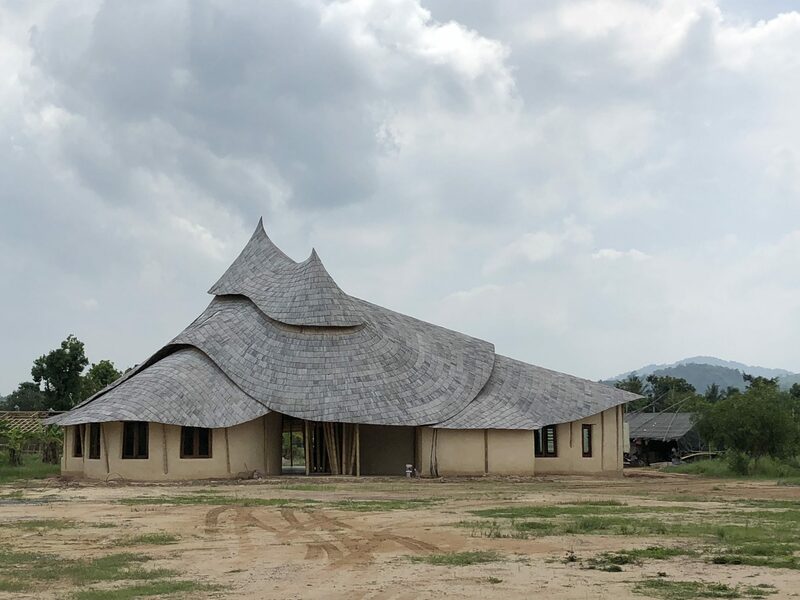 Chiangmai Life Architects was commissioned to design the Conference Center and support structures such as a Canteen and Bathrooms for an agricultural teaching center. 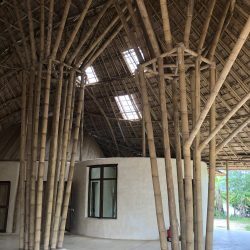 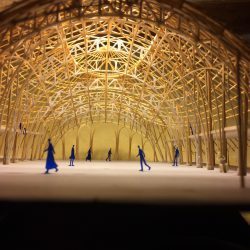 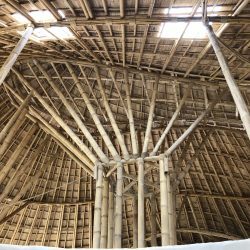 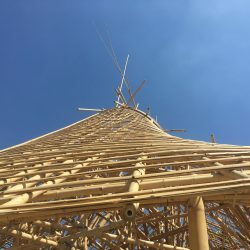 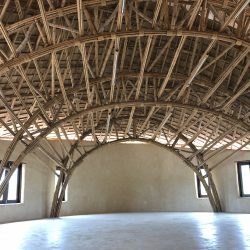 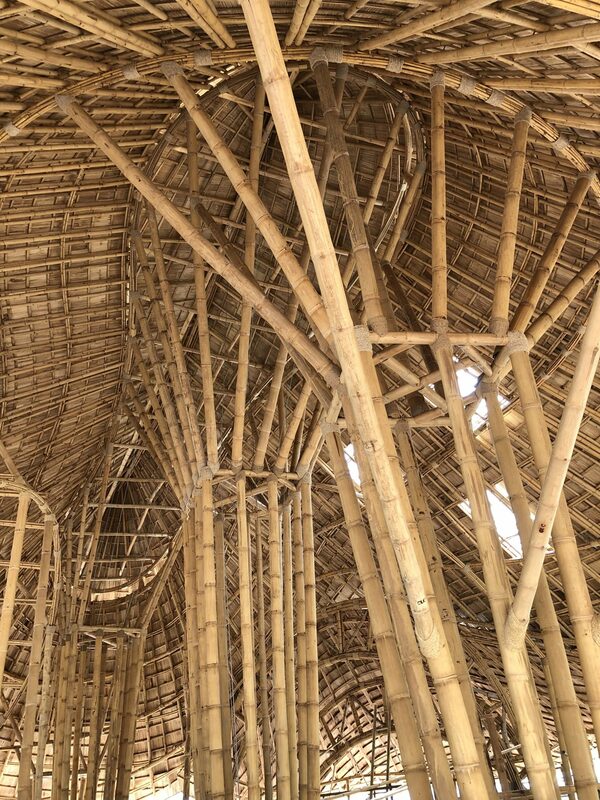 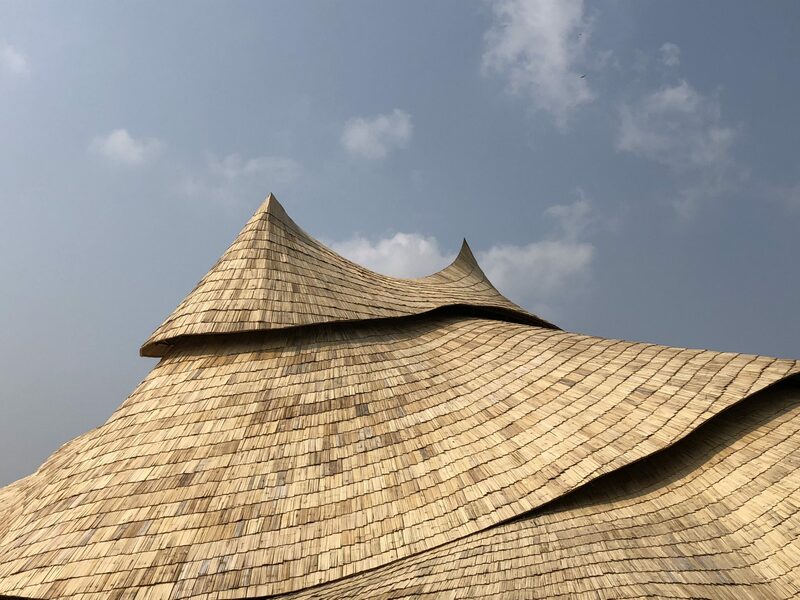 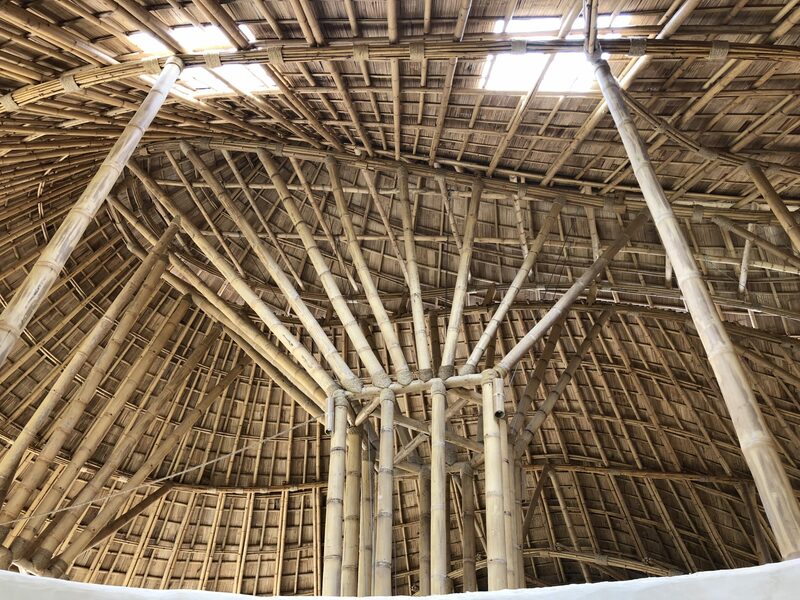 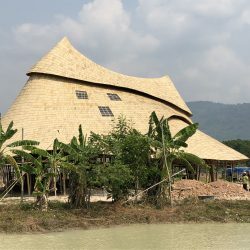 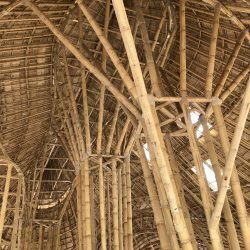 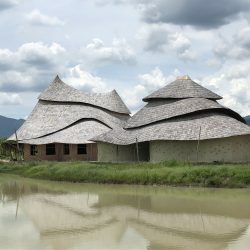 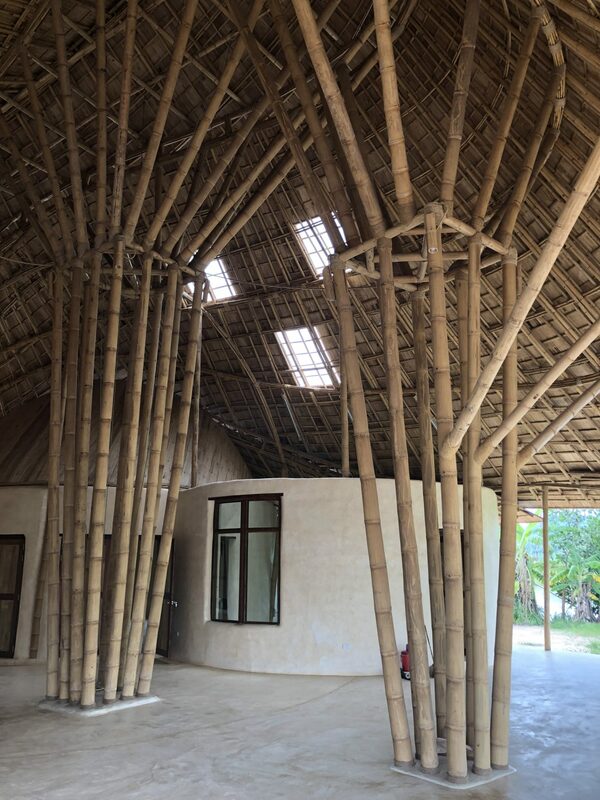 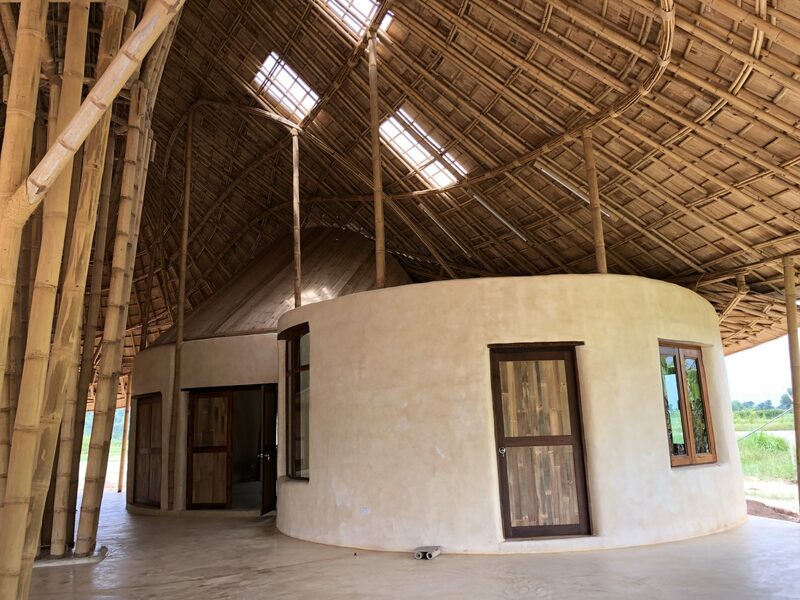 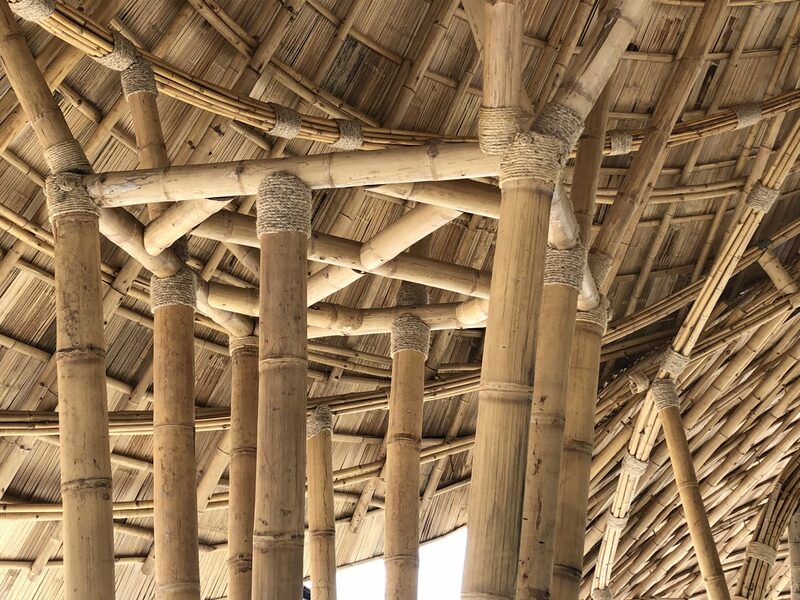 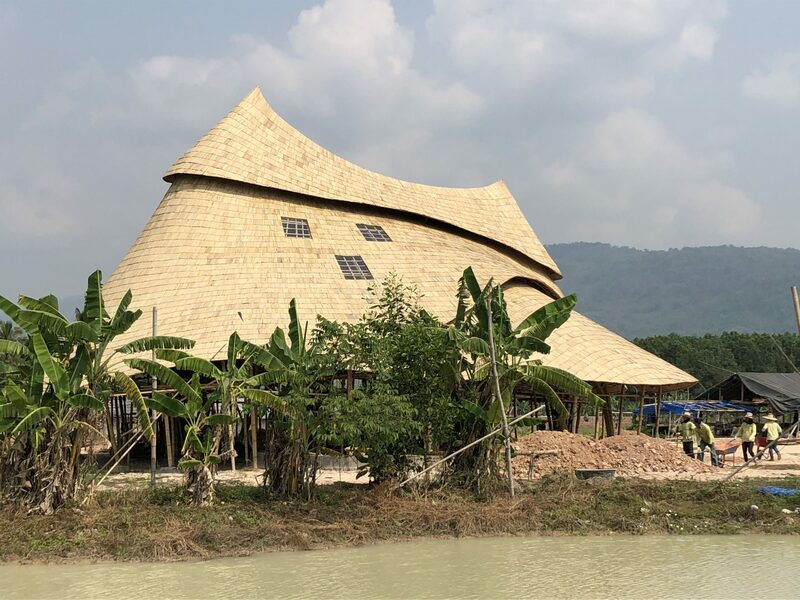 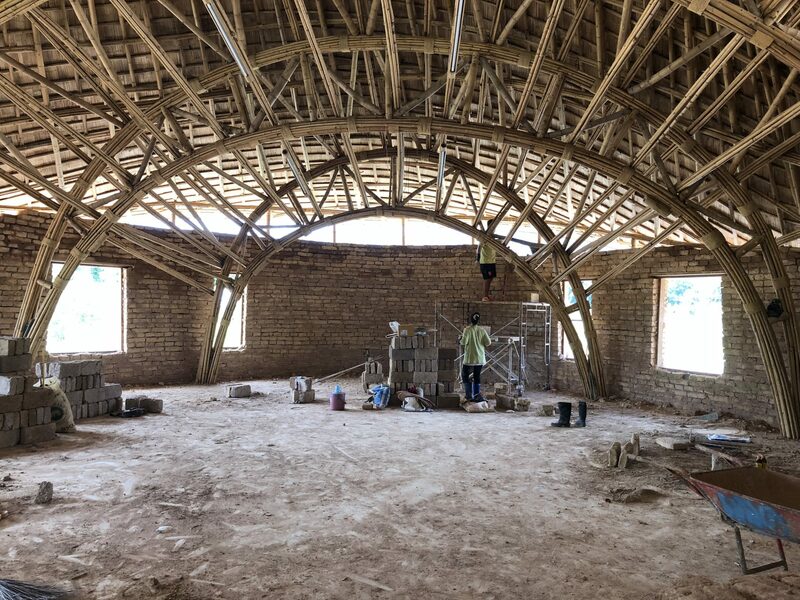 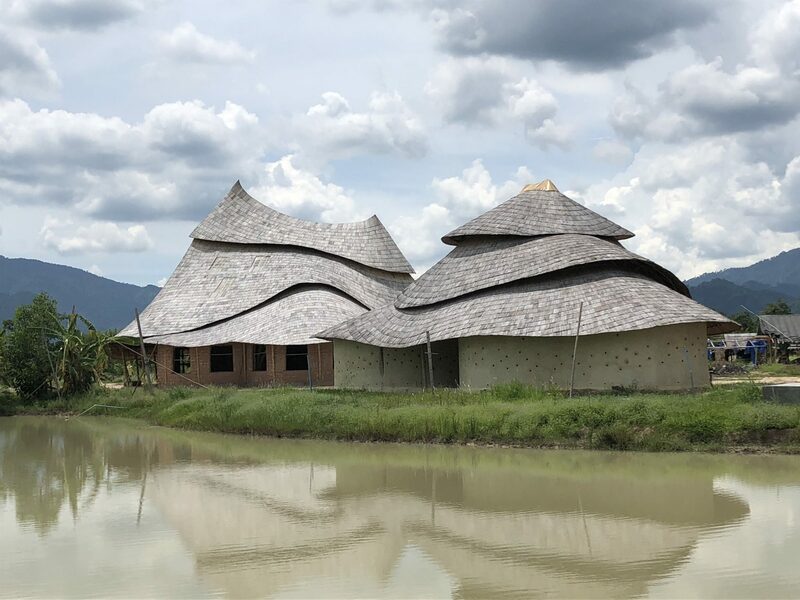 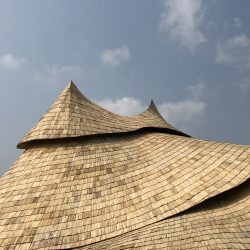 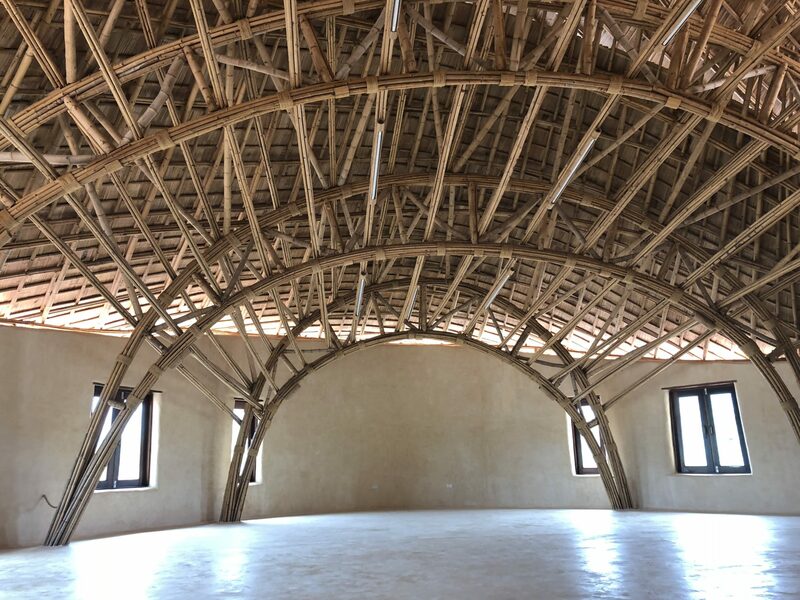 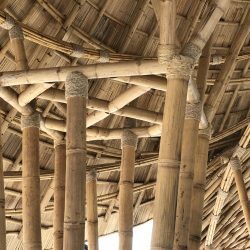 Chiangmai Life Architects designed a highly engineered bamboo edifice that combines arched and columns with adobe brick walls enclosing the halls and office. 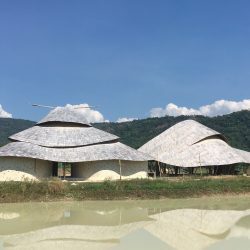 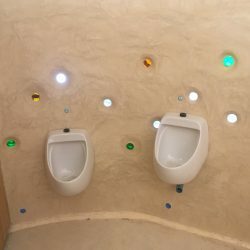 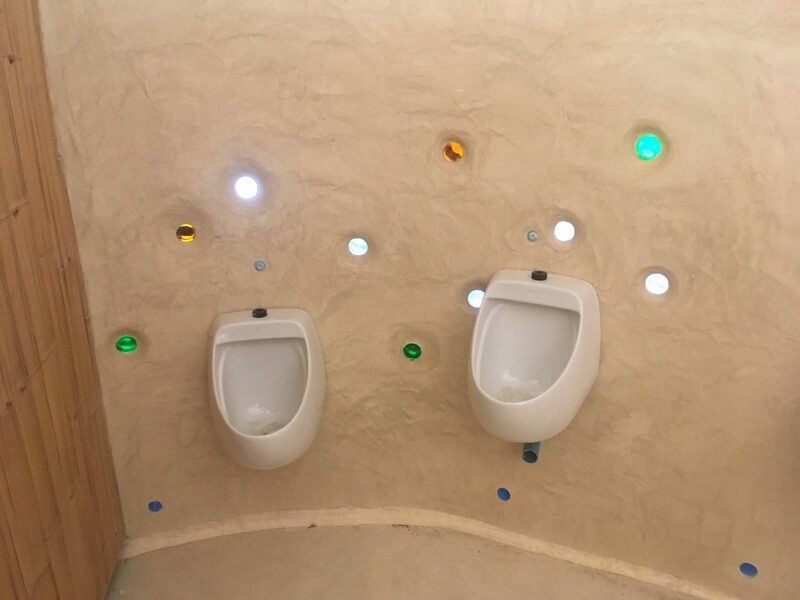 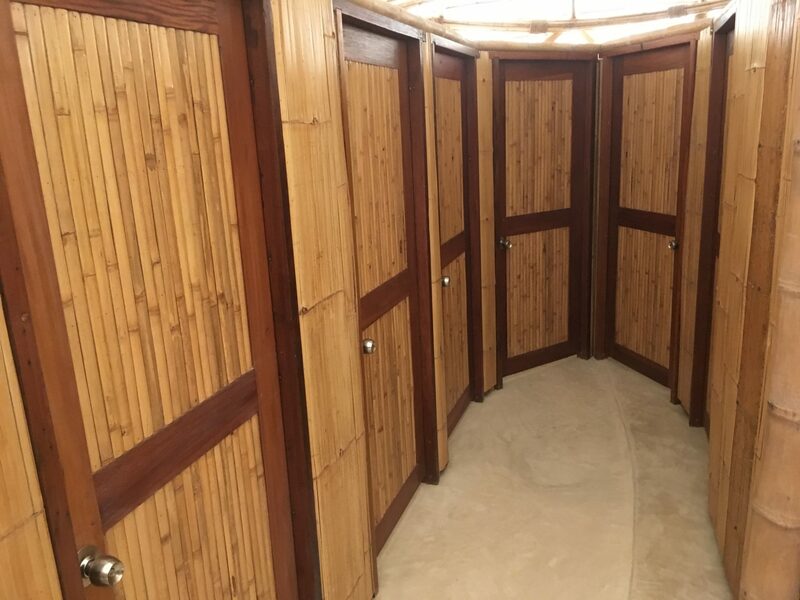 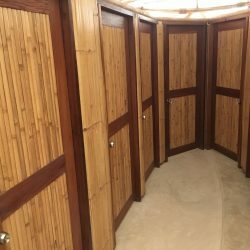 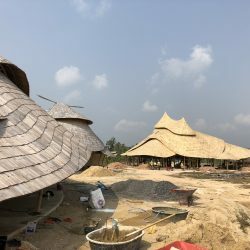 The smaller structures, the bathroom and the canteen have their own individual design that makes them outstanding by themselves, but because of the similar materials used they come together like a naturally grown village. 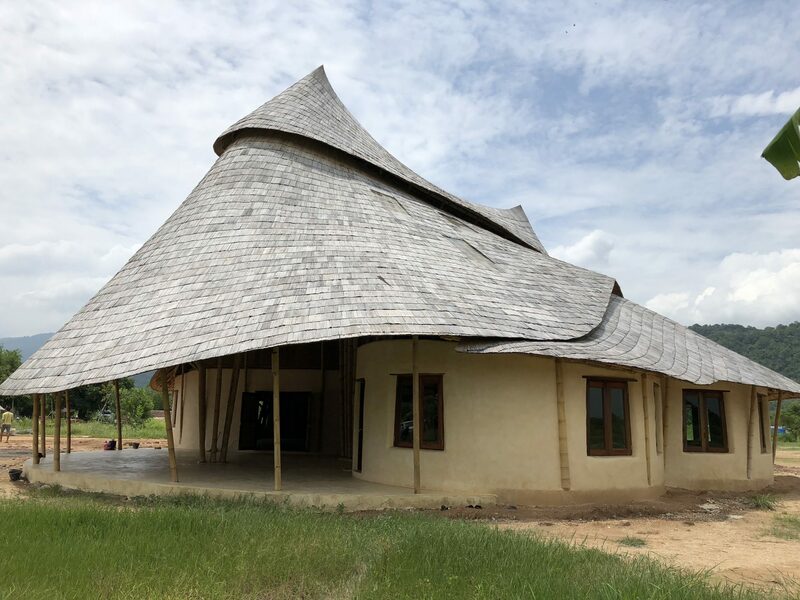 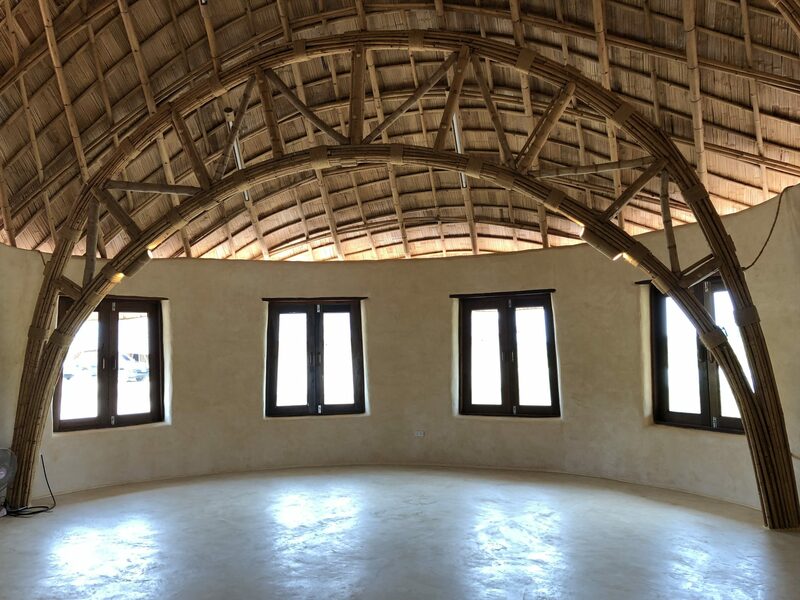 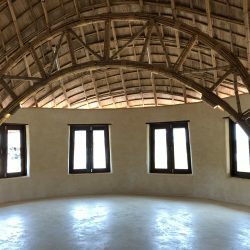 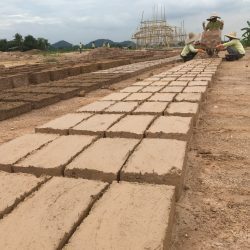 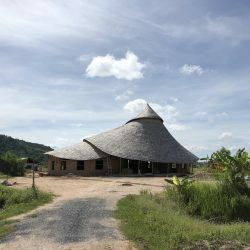 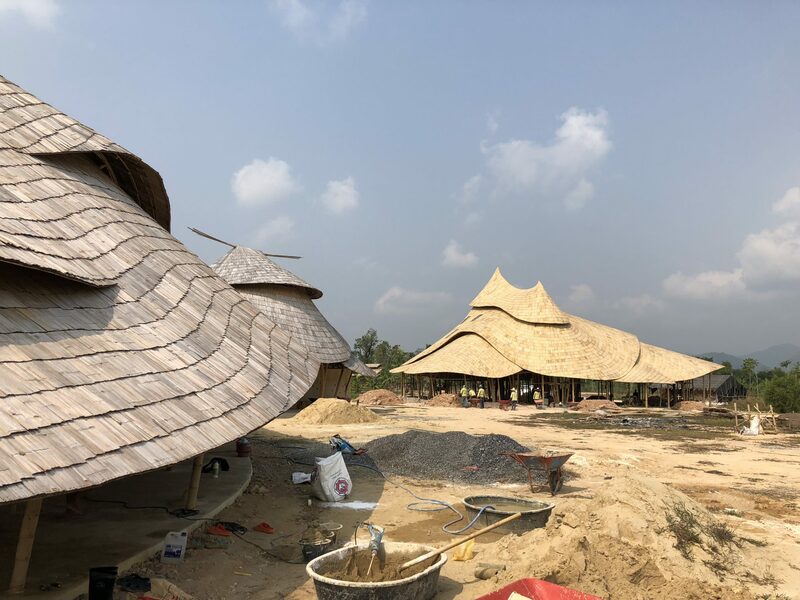 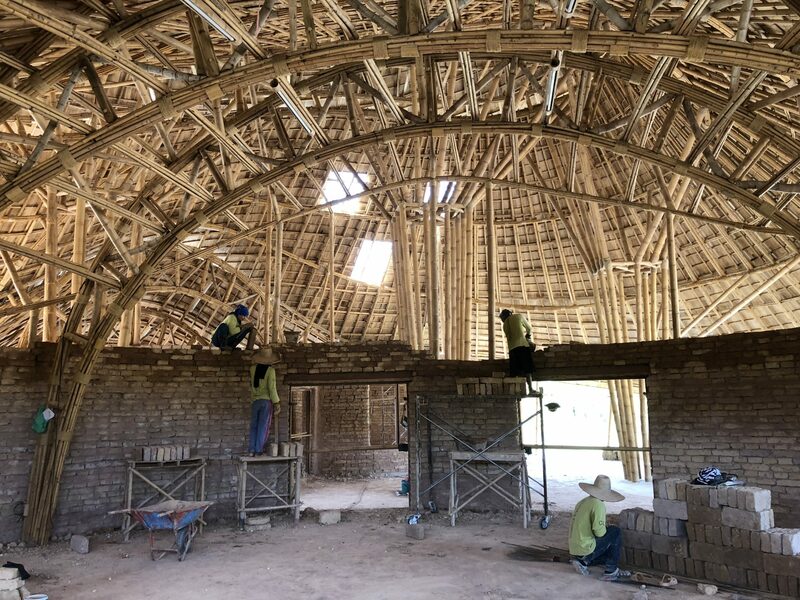 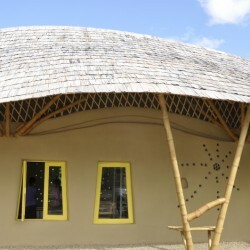 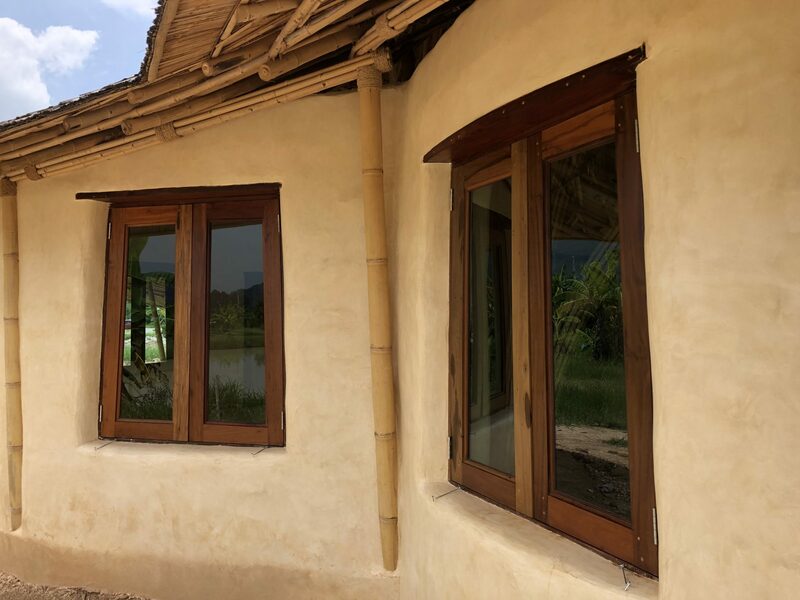 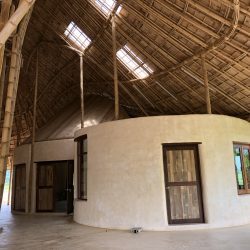 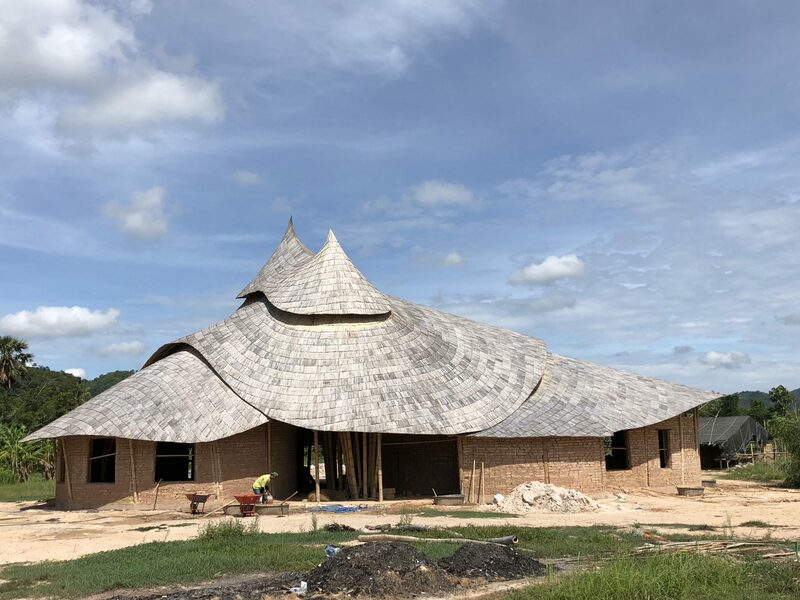 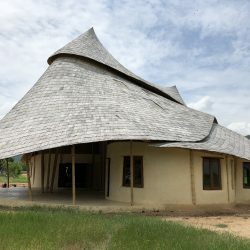 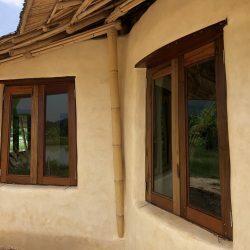 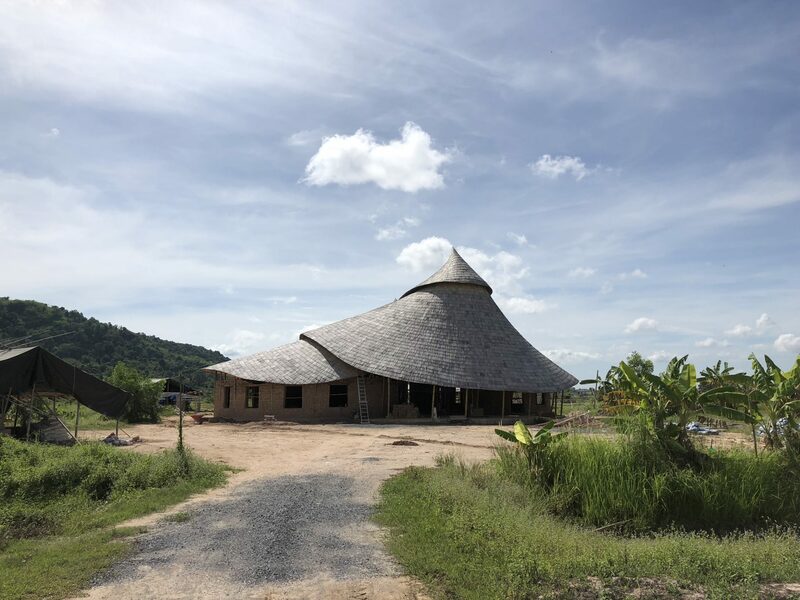 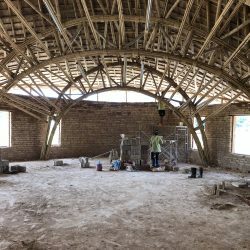 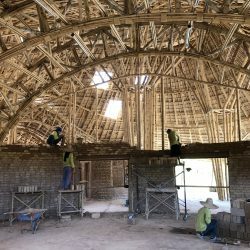 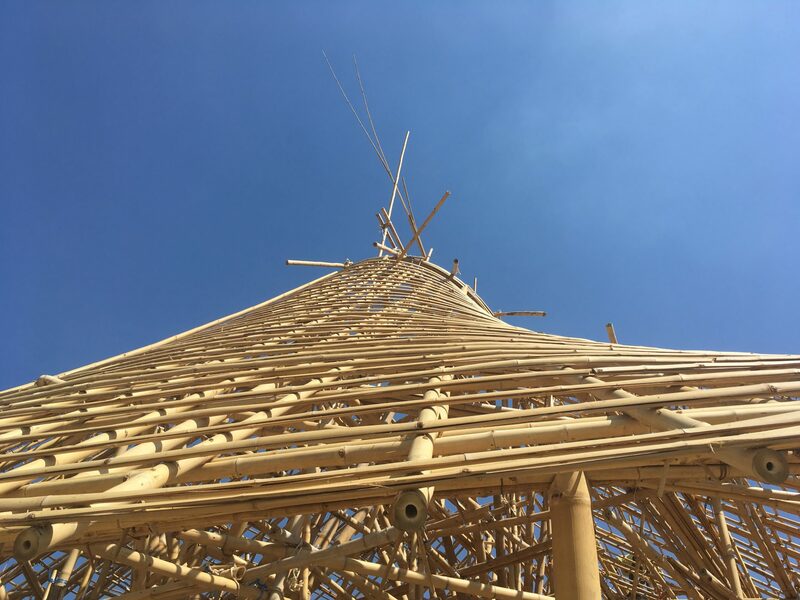 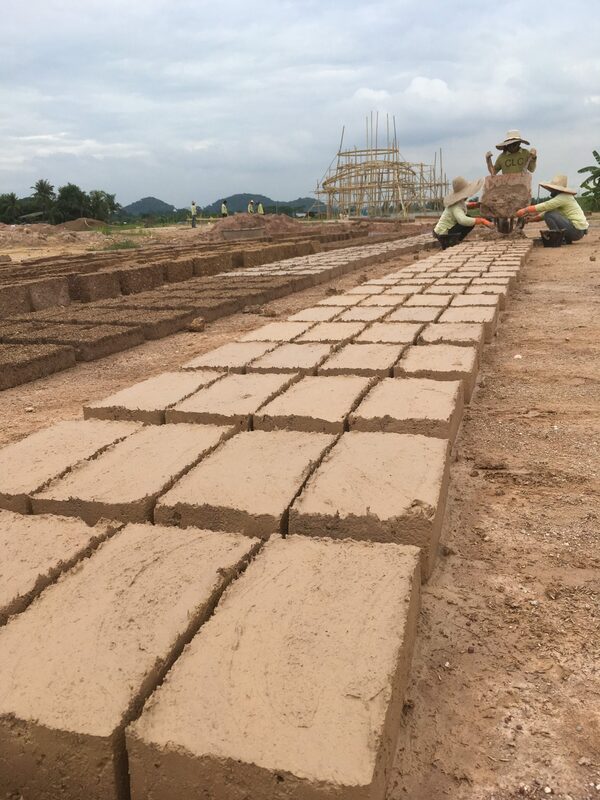 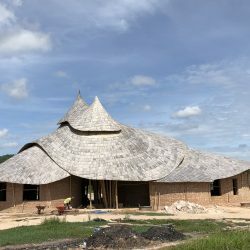 This project is another example for modern bamboo and earth architecture – engineered bamboo combined with adobe brick walls.